A psychotherapist's plan to change the world, one mind at a time. What usually comes next, is one of three things; a question, a statement, or an immediate change in subject. The questions are along the same lines; “Have you been analyzing me?” And, “How can you listen to messed up people all day?” The statements range from, “Wow, I better stop talking to you now,” to, “I know someone who could really use your services!”, followed by a loud uncomfortable chuckle. Even when people choose to change the subject, my response in all of these situations is the same. “I approach things differently…” Though I am a licensed mental health professional, my private practice is devoted to changing the way our society perceives therapy and redesigning our approaches to mental health education and support. In my practice, whether I am working one on one with someone, or in an executive leadership workshop, I rarely use the word therapy with my clients. I am a consultant, collaborating with clients to re-engineer their lives. From our first interaction, I begin planting the seeds of possibility; suggesting that seeking help does not indicate a weakness, but rather a sign of emotional intelligence and bravery. It’s disempowering to give attention to pathology, so we focus on their patterns instead. This seems to provide people with a renewed sense of control. Many people who finally do seek out mental health services are already in a place where they perceive they have no control. Rarely will you hear me say the word problem or disorder because these words I’ve observed, trigger a range of unhelpful interpretations, like “Only weak people have disorders” and “I can’t believe it’s gotten this bad I need to see a therapist!” Once judgment of any kind is introduced, whether it be of one’s self or others, we no longer become objective creators in our lives, but bias reactors instead. And because our brains are wired to relate information, great importance is placed on language and word meaning. So words like, problems, therapy, and diagnoses, seem to discourage people and put them on the defensive. Neither state is helpful in learning self-awareness and non-attachment. And these practices are essential in shifting one’s perspective and re-wiring the brain to create new patterns of behaving and thinking that are more in alignment with their goals and values. 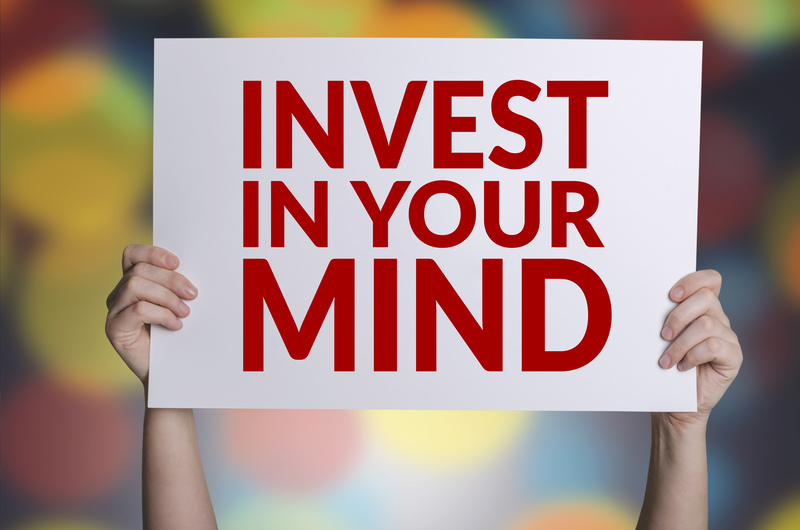 Blooming Minds, my professional practice, is dedicated to changing lives, one mind at a time. I believe in empowering people to become curious, nonjudgmental explorers of their minds and their behavior. My goal is to revolutionize the way we think and approach mental health. In my opinion, the first step in doing so is creating a new conversation about it, using different words. I believe it is safe to say the model and approaches we have been using thus far, are not working. People are still not getting what they need and we are still experiencing the stigmatization of mental health and an over-reliance on psychotropic medications. We need new conceptualizations, a new language, and new approaches,… When we speak of pathology and disorder, the stigmatization takes over, which often keeps people from seeking tools to manage their stressors and address obstacles that are keeping them from practicing happiness. And happiness is a practice, not a privilege. We need to stop demonizing dysfunctional behavior and instead, view it merely as misdirected creative energy. Many of the people I work with are highly intelligent, creative individuals who developed unhelpful relational strategies for interacting with the world. What may have worked when they were children, no longer works as an adult. I keep a kaleidoscope on my desk to teach people how truly simple the basic theory of this work is. It’s about looking at things differently. As we look through a kaleidoscope and turn it slightly, it offers a completely different view, a view that can be beautiful if we allow ourselves to see it from a non-judgmental place. Simply theory, though challenging in practice, which what keeps my job a secure one. There is no shame in personal development work and there are no wrongs or rights. It’s about identifying individual values, cultivating self-awareness, and viewing our patterns from a different angle. It from a place of neutrality and clarity that we can determine what is working for us and what isn’t. In partnership with my clients, we create opportunities to experience and practice behavior and thinking patterns that align with their goals and values and create solid happiness practices. We do so through self-exploration, value clarification, and non-judgment. We add in humor, creative expression activities, and connected, community building workshops and one is well on their way to experiencing “re-engineering,” formally known as therapy, at a whole new level. People begin to experience the positive effects of joining the Blooming Minds revolution. The revolution where minds bloom and fear and stigmatization subsides. Healthy Relationships Are Non-Threatening, Respectful, Fair, And Based On Mutual Trust.